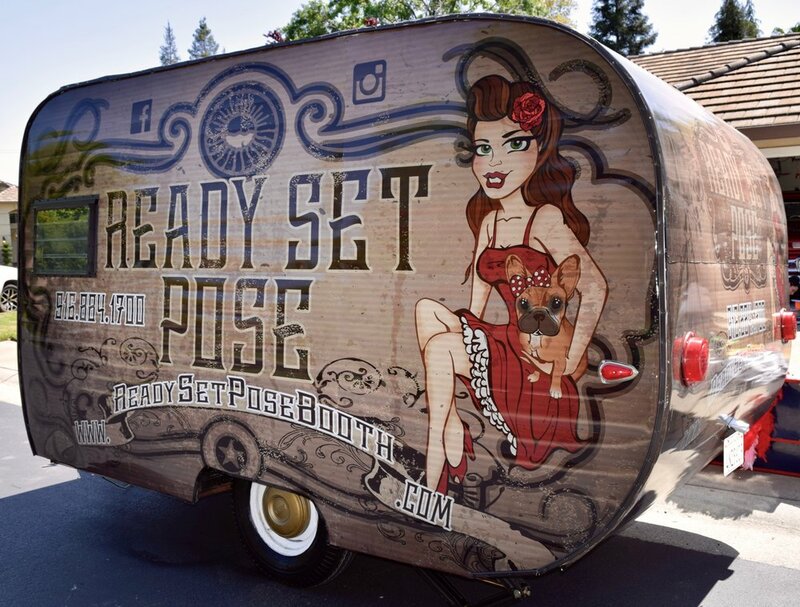 Ready Set Pose Booth | Vintage Mobile Photo Booth | Roseville, CA | Weddings, Parties, Corporate Events & More! Our vintage Ready Set Pose trailer is a 1960 Traveleze Playmate that was born to entertain! She recently underwent a bit of a “face-lift” and is now ready to “wow” at your next event! This vintage trailer has been turned into a mobile photo booth to create lasting memories at your wedding, party, corporate event – you name it!